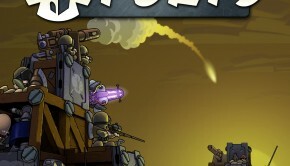 Telepath Tactics is a Kickstarted S-RPG with simplistic pixelated visuals but a deep and rewarding battle system. 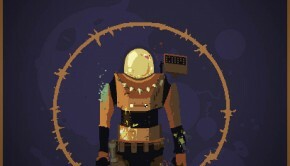 The soundtrack is written primarily by Ryan Richko, and it is his first full video game score. Additional tracks are written by Craig Stern and Nick Perrin. 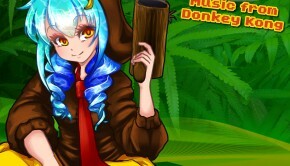 Despite the more basic graphics, the score is actually lush and rich with acoustic and orchestral elements to it, as opposed to a more retro approach that one might have expected from the game’s visuals. The score as a whole isn’t the most cohesive or clear about identity, but Richko’s compositions are strong and effective, at times epic and at others quite beautiful. The first track on the soundtrack by Richko is “Sisters”, which begins softly with some wind instruments, chimes, and strings. The acoustic solo instruments like the cello and flute get some good work in here, leading a simple but memorable melody. These instruments are combined with the synthetic instruments very well, giving it all a more authentic sound. There is a beautiful build up in the track, helped by some drums and percussion. The rich sound carries to other similar tracks like “Frozen Memories” (which builds on a melody heard in “Onslaught”), starting again with a few solo instruments, then calling in the strings for a more full sound that is quite moving. The cello gets more work in the short “Enslaved”, which is dark and ominous but with the emotive solo. On the lighter side of things is “A Quiet Village” with a pleasant and relaxing melody that is passed on through the various instruments. “Shady Transactions” and “Right Under Their Noses” are playfully mysterious tracks, again making the most of the acoustic instruments and the more intimate sound to better convey their feel. Tracks like “Dance of the Isles” and “Getting To Know You” are also pleasant and largely acoustic affairs, with a nice groove, fun atmospheres, and some melodic references to other tracks. On the darker side are tracks like “Aduura Ze Zaris”. Some percussion and harp are the foundation for the track, joined at times by strong work from the strings and even a bit of vocal. It’s an exotic and eerie track, and feels more mature than a lot of what came before it. “Bad Omen” is also in atmospheric track, this one much more in anticipation of what is to come, though it’s a bit bare. Better is “Evil Presence”, which introduces its motif first on piano before building on it with the other instruments. It certainly represents an evil, but it hints at a sadder backstory as well. It’s a shame that the track isn’t longer and more developed, as even the bonus alternate version included in the soundtrack only extends the track with an introduction rather than development. In this darker vein, Craig Stern provides two solid tracks, “Dungeon” and “Tactician’s Duel”. The latter is mainly light piano and strings, while the former focuses on piano and percussion with a decent groove to go along with its dark atmosphere. On the more epic side of things are tracks like the “Main Theme” (composed by Nick Perrin). This track has a big, militaristic sound to it with orchestra support. I’ve never been very taken with big themes like this, but it certainly does what it sets out to do in creating a royal main theme. Similar are some of Richko’s tracks like “A Hero’s Triumph” and “Preparing for Battle”, both bright themes that still don’t do much for me but are adequate. More interesting is “Against All Odds” which is more pressing and has more momentum to it, thanks to an undercurrent of strings. I did find the mixing a little off in these tracks compared to the lighter ones, but it isn’t too grievous, and in general these tracks are fine. Continuing on these heavier tendencies are tracks like “Foul Servants”, which sport a growing sound and a bit more personality. “A Menacing Foe” is more dynamic, having a stronger progression throughout and more variation in sound. Richko is much more ambitious with “Eaters of Darkness”, bringing in some electronic elements and a more aggressive sound altogether. This track is again pretty varied throughout, never sticking with a single idea for too long. Some of the bass sounds he chooses are a bit odd, but overall the sound of the instruments is great. If I had to guess I would say that there is some influence from Yoko Shimomura with those quick piano runs and the heavy string work. The climax is of the score though is “The One Who Gorges On Suffering” which incorporates a choir into its big orchestra sound. It seems to me like there are some similarities to the Final Fantasy XIII series tracks with how the choir is used, but the track still stands on its own. The throwback to the “Onslaught” melody is a great incorporation in the middle of the track, giving the song more emotional weight. It’s a solid track, and works well as the apex of the soundtrack. 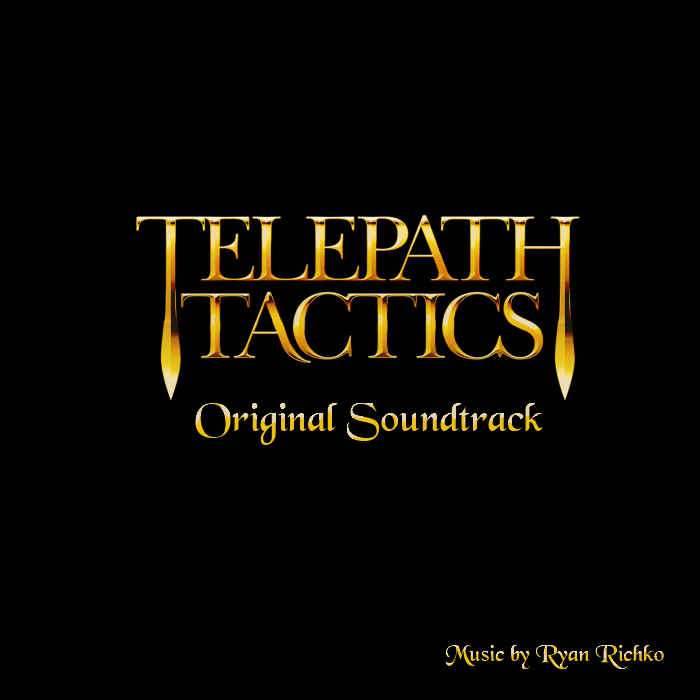 Telepath Tactics Original Soundtrack is a solid first effort from Ryan Richko as a video game composer. There isn’t perhaps much in the way of overall cohesiveness or unique voice, but many of the individual tracks are quite good, and use of acoustic instruments to supplement the others helps the score sound great. The compositions are decent with some strong melodies, but the performances elevate them and Richko commits to bring out all that he can from them. Fans of the game should of course pick up this score, but others should also check out this promising work from a new artist. Posted on June 19, 2015 by Christopher Huynh. Last modified on June 20, 2015.